Another great Nerdigurumi pattern. 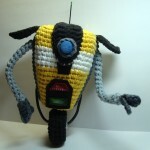 Wonderful gift for any fan of the game Borderlands 2. This pattern is not for the faint-hearted, though. You'll need plastic canvas, copper electrical wiring and good crochet skills to get this baby up on his wheel. 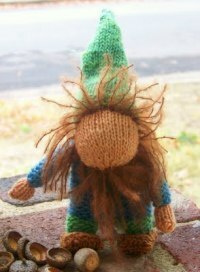 I've had a request for knit patterns for amigurumi gnomes. 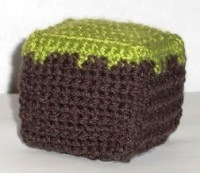 Perfectly pretty pickle pattern from Anneris at Amigurumi Food. 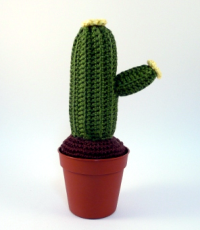 This gorgeous crochet cactus pattern comes in italian, spanish and english versions. I think I'll have to break my doctor's injunction against crochet for this pattern! 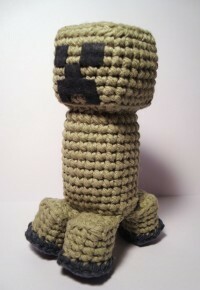 Note: you'll need some plastic canvas to help your creeper keep his shape.